PowerColor, one of the AMD’s excusive AIBs, who have already made arguably some of the best custom RX Vega cards like the RX Vega 64 Red Dragon will be showing off another card at Computex. 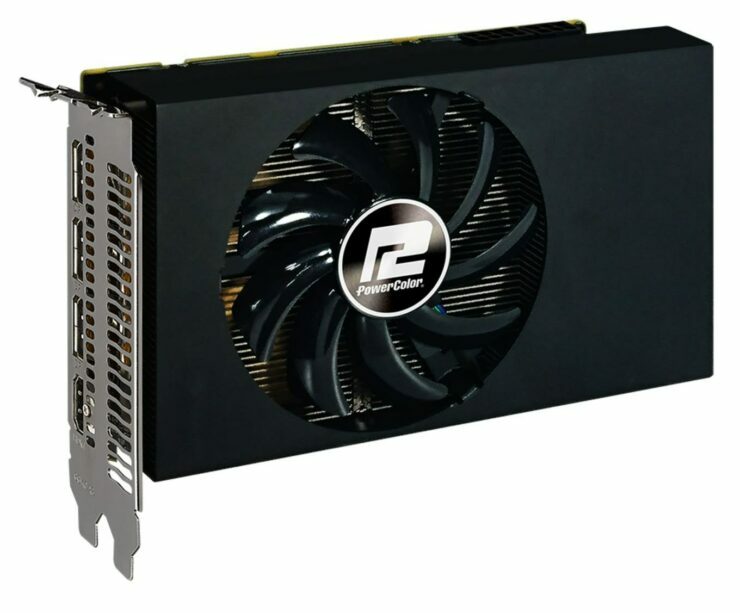 While not being an official Nano SKU from AMD this is PowerColor’s own custom RX Vega 56 named “Nano Edition” so unfortunately AMD will not be pushing for Nano cards as we may have expected at this time. This news comes a few weeks ahead of Computex 2018 in Taiwan, PowerColor has confirmed that the Nano Edition will be ready for launch and will likely be sold in the near future. Unfortunately no technical details were revealed but we did get a new picture showing the standard power connectors for a RX Vega 56, a single 8 pin and one 6 pin. The big difference between this and most other RX Vega 56 cards is the single fan as other cards have been able to push a smaller PCB. Also looking at the picture I do really hope we see some RX Vega Nano branding SOMEWHERE on the card, as the current one looks pretty dull and kind of cheap. That being said if pricing is very good this can be forgiven. Many have expected a card like this from one of the AIBs, since HBM does make the GPU package very compact. Unfortunately at this time only PowerColor has jumped on this idea, it probably has a lot to do with the current demand for graphics cards, the high price of HBM and very low production. Getting back to the card specifically we know very little when it comes to specifications but we do see three DisplayPorts and a single HDMI in the picture.